We just deployed a new release of the Prototype Creator. This time we extended the export feature by a bunch of html files. For each page of a prototype you get the sketched mode as well as the plain mode as a separate html file. As a third mode you still get the svg files. In addition, we added an index page listing all the pages by their name. 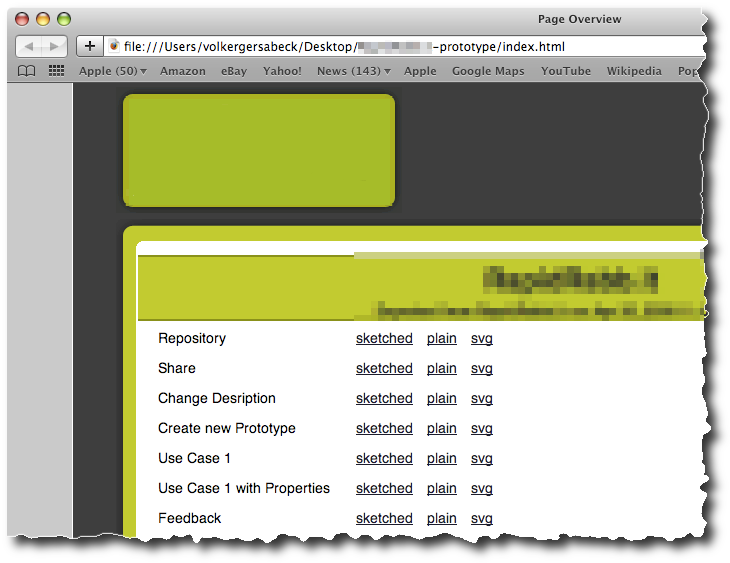 This way, you can easily pick your home page to browse the prototype locally. All exported pages are exactly as you see them when running the prototype on our server: all elements are interactive and links and buttons lead to the next page. The current version of the HTML export is not meant for further editing of the files. They should primarily be used for showing the prototype offline or to serve as a project’s specification.